With one more location in downtown Canmore and another in Banff, the bakery has a deep connection with these communities that’s based on the hard work and long hours it takes to produce bread on a daily basis. In the back room, an assistant baker places cookie dough on baking sheets as co-owner and baker Angie Keller checks on the oven-load of Danish sourdough rye loaves producing that glorious aroma. Keller and her partners purchased the business from the previous owner—her former employer—in 2010. They expanded the coffee-shop facet of the business, selling bread and pastries at each location as well as filling regular orders for commercial clients such as hotels. While business has been good, Keller said the wholesale side is unpredictable and there’s no competing with the big bread companies on price. As well, it’s been a struggle to find baking staff, in part due to the early hours and physical demands. Perhaps surprisingly, the gluten-free trend of recent years has not been among the challenges the bakery has faced and it even offers gluten-free loaves once a week. “You have to respect the trend, but hope that trend doesn’t take over,” she said. “That’s what bakers were worrying about in the beginning, and it didn’t.” She suggested that moderation in eating is the real trend responsible for weight loss and better health in those embracing gluten-free eating as a lifestyle choice. Though she was hesitant to predict the artisanal bakery sector will see major growth, she was confident that bread’s deliciousness, cheapness and practicality will see it forever endure food trend swings, and she did predict big things in one particular area. “In large population centres, I see business in sourdough bread,” she said. Through the ups and downs of recent food trends, bread never went away. It accounted for 71 per cent of the value of the Canadian baked goods industry in 2017 at more than $4.5 billion in sales. Though sales have flattened as per-capita consumption has dropped, the value of bread sales is projected to increase by 1.7 per cent annually through 2021. As well, signs point to rising consumer interest in traditional, artisanal bread. COBS Bread Bakery product manager Tanya Hook suggested consumers are indeed turning toward certain types of bread that square with their desire for fresh, unprocessed foods with no preservatives. As of April, 2018 sales of the bakery’s Sunflower Flax Sourdough loaf increased 30 per cent over the previous year, and this spring COBS introduced an artisan-style focaccia bread likewise aimed at the consumer desire for simplicity and minimal ingredients. Also among COBS’ bestselling breads is a white loaf that has been specially bolstered with oat fibre. The flipside of demand for health-conscious breads is what Hook terms “smart indulgences” such as cinnamon buns that remain a pillar of the business. “We’re finding that when customers indulge, they want to eat something smarter. They want little to no preservatives and high-quality ingredients.” For example, COBS uses real butter in its cinnamon buns. 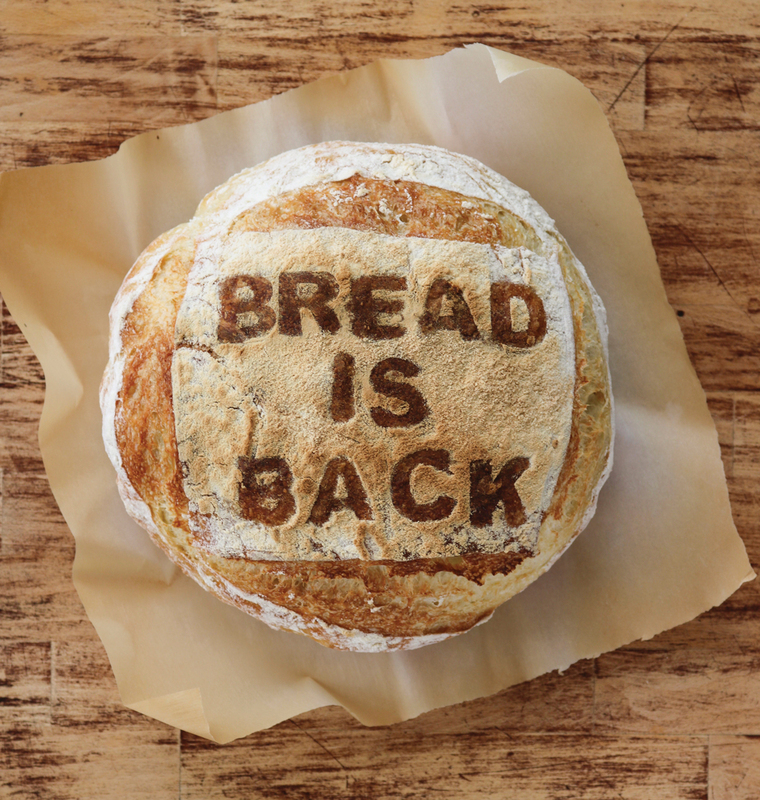 Globally, baking businesses are responding to consumer demand for healthy bread. A Belgian baking ingredient supply company with Canadian headquarters in Mississauga, Ontario, Puratos also conducts product development consultation and consumer research. Its customers include large food makers that want to shrink their ingredient lists and make their products healthier as a means to build consumer trust. The company’s clients also include bakeries such as COBS and small artisanal bakers searching for new ideas and techniques. Puratos Canada marketing director Liesbet Vandepoel said though the big baking companies are more transparent about their ingredients via their packaging than neighbourhood bakeries and their bread often features very similar ingredients, independent bakeries are inherently trusted. In fact, while they can’t compete on price, the small artisanal bakery startups also possess the advantage that they are fast, lean and unencumbered by company rules. They can more quickly respond to changing tastes. Importantly, each has a story to tell about its bread. ACE Bakery was launched by bakers Martin Connell and Linda Haynes, who made European-style bread and baguettes in a backyard bake house in Caledon, Ontario. From the establishment of the first ACE shop in Toronto in 1993, the company has grown to serve restaurants and grocers across North America. As once-small bakery operations such as COBS and ACE grow or are purchased by larger players, they preserve their neighbourhood-bakery cachet, keeping these stories intact and increasing their focus on artisanal breads. Vandepoel believes a bread resurgence is just now coalescing. “I believe bread is going to be back, but I don’t think it is back yet,” she said. As well, younger consumers in particular have developed a fascination with the magic of sourdough bread, which is produced from dough starter containing both bacteria and yeast that act as leavening agents, and that must be carefully kept alive. The number of breads labelled as products of fermentation has risen dramatically. Puratos has gone as far as establishing a sourdough library in Saint-Vith, Belgium, that catalogues and maintains the world’s great sourdough starters. It now features one from Toronto’s Blackbird Baking Co. and will soon catalogue a second Canadian entry from the Yukon. Another factor in bread’s rise is the fact the gluten-free trend is losing steam. Vandepoel suggests it will remain a niche bread market and doesn’t expect further growth. “If you’re not a celiac, and you want to eat good bread, cake or cookies, then going gluten-free is going to be challenging in getting the same taste and texture.” Also limiting their sale, these products may feature higher levels of sugar and salt to mask these deficiencies. The baking industry will face a challenge in capitalizing on renewed consumer interest in bread. Skilled bakers are hard to find at a time when bakeries must be creative and flexible. Innovation is critical in producing limited-time special products that satisfy cravings for new tastes while maintaining a balance with the traditional breads that consumers always return to, said Vandepoel. Edmonton chef and food consultant Kaelin Whittaker leads bread courses as part of her business, The Ruby Apron. She has also launched Real Bread Alberta. Patterned on similar groups in the U.K. and Ireland, the organization promotes bread baking as a community-building activity. “The biggest goal is to connect people—the consumer, the baker, the farmer—and create a conversation around bread, and why we should be eating and baking bread. And to give people a platform where we can have that conversation,” said Whittaker. Returning to Canada, she spent six months perfecting her sourdough skills, preparing an extensive recipe pack for her very sociable cooking and baking classes, which she launched in November of 2015. She has also made connections with local farmers who now supply most of her ingredients, including flour she purchases from Highwood Crossing Foods in High River and Gold Forest Grains just northwest of Edmonton. Whittaker said home bakers are likewise searching out local flour for their baking, posting photos and discussing their results on social media. Tony and Penny Marshall own and operate Highwood Crossing Farm, an organic grain operation that’s been in Tony’s family for 125 years. They also operate Highwood Crossing Foods, which makes organic food products. Established in 1996, it has supplied flax and canola oils, granola as well as other cereal products and flour to restaurants, grocers and bakeries. The bulk of the flour is milled by contractors and sold wholesale to commercial bakers, while it is also purchased for retail sale by Safeway, Sobeys, Federated Co-operatives, Community Natural Foods and Sunterra Market. Consumers can buy flour from Highwood in bulk but, more typically, they purchase the company’s two-, 10- and 20-kilogram bags from food retailers. Tony said most Highwood Crossing flour is destined for bread making. 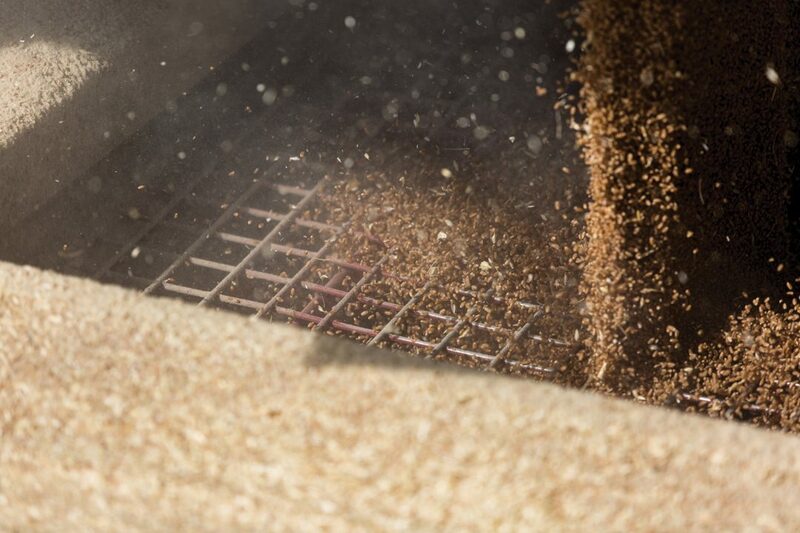 Echoing the use of local barley in the craft brewing industry, the Marshalls’ flour and other food products are made largely from grains grown by Alberta farmers. “People who have an interest in where and how their food was grown and produced are absolutely aware and appreciative of the fine quality of wheat and other grains grown in Canada,” said Tony. And while many of his clients are keen to buy Alberta-grown products, he said purchasing locally also makes good sense for his business due to the high transportation cost of importing grains. Marshall has noticed an increase in flour use for bread making and attributes it to a surging interest in sourdough. “It really is an artisan revival,” he said. “On Instagram, you can see the beautiful work that home and commercial bakers around the world are doing with sourdough.” He said this is driving sales of the all-purpose organic white flour that is the business’s cornerstone flour product. In turn, this has pulled up sales of whole-grain flour as health-conscious bakers use it to augment the white. Young said he is likely to ramp up flour production as an ongoing value-added initiative to boost the bottom line on the family farm. 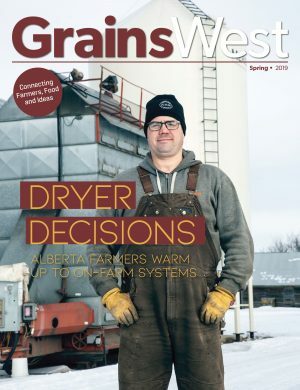 Though he is not sure what the extent of demand for Alberta-grown flour may be, he has begun to research the possibility of exporting his flour outside the province. In line with Angie Keller’s suggestion that launching a big-city sourdough bakery may be a timely opportunity, the four members of The Grain Exchange bakery co-operative are building just such a business. In a rental space this past April, they began baking their first products in a recently purchased oven, producing granola, frozen ready-bake biscuits and no-bake energy balls as part of a bake-share option offered with YYC Growers and Distributors produce boxes. The group plans to lease permanent space and find additional baking professionals as members in coming months. Member Jared Smith, who handles the group’s finances, said bread is the ideal expression of the co-op’s entrepreneurial goals. 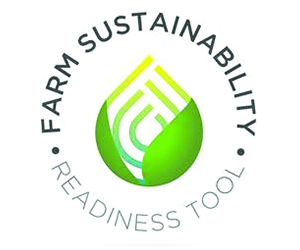 The plan is to produce high-quality, nutritious foods while creating good-paying jobs. “We think that with a daily-made artisan product like sourdough bread, we can tell a story of craftsmanship and show the value that’s in the product,” he said. Enjoying one of Alberta’s best and most historically informative bread experiences, 275,000 people visit the Alberta Bakery at Heritage Park Historical Village in Calgary annually. Modelled after a Calgary bakery operated by Charles Gilbert in the early 1900s, its staff, dressed in period-appropriate garb, serve park-goers sourdough, raisin, whole-wheat and multi-grain loaves as well as buns and pastries made with recipes that reflect the from-scratch versions made at the time. Park visitors are advised to expand their pioneer-era, farm-to-loaf experience with a stroll past the wheat field adjacent to the ranch house. Weather permitting, it will be harvested at the Country Kickback event on August 25 and 26. There is also a vintage grain elevator near the bakery. Transplanted from Shonts, where it was built in 1910, it is operated by historical interpreters who demonstrate the loading and unloading of an antique grain wagon. With renewed consumer interest in bread, baking courses are in demand and book up quickly. Here are a few home-baking classes offered across the province. Visit therubyapron.ca to sign up for Edmonton chef Kaelin Whittaker’s cooking and baking classes. Held at her home baking studio, these include evening and full-day sourdough workshops as well as two-day dough-making classes. Continuing-education baking courses are available at the SAIT main campus and SAIT Culinary Campus on Stephen Avenue Walk. To register for five-hour, artisan bread courses held on Saturdays, click on the culinarycampus.ca “classes” menu. The artisan bread-baking courses available to the public at Edmonton’s NAIT campus include 12 hours of instruction offered on either evenings or weekends. Aimed at home bakers as well as professionals, the first-level course teaches European-style sourdough baking methods. The second-level course expands on the basics, emphasizing creativity and invention. Visit the “hospitality and culinary” menu at nait.ca/programsandcourses for information and to register. Baker Aviv Fried of Sidewalk Citizen Bakery conducts sourdough bread classes at The Cookbook Co. Cooks, a culinary store located in Calgary’s Design District. These one-off evening classes include two glasses of wine selected by Metrovino wine shop. For class information and to register, visit eventbrite.ca.